Rajinikanth had said that the verdict was disappointing. And that seems to have angered a pro-Kannada outfit. On Friday, the Supreme Court delivered its verdict in the keenly-followed Cauvery dispute and reduced Tamil Nadu’s share by 14.57 mcf. 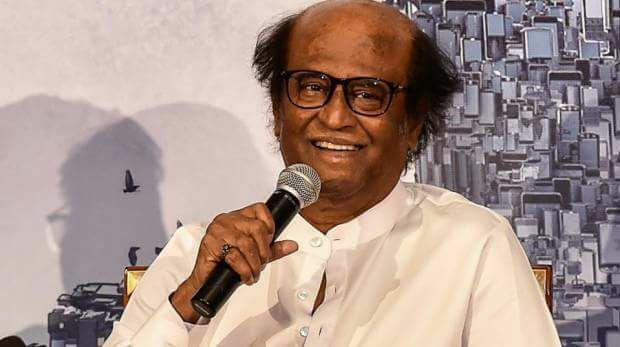 Shortly thereafter, Tamil superstar Rajinikanth expressed his views on the decision and said that it was disappointing. He went on add that Tamil Nadu should try to get the verdict reversed as it is going to affect the well-being of farmers. “The decision that has come in from the court regarding the Cauvery verdict will have an adverse effect on the farmers and those who depend on agriculture throughout our state Tamil Nadu. I hope the Tamil Nadu Government applies for a revised verdict regarding this decision, for the betterment of our state. The Government has to take steps immediately in order to get this revised verdict,” he said. Now, it seems that his comments have ruffled a few feathers. In a shocking development, a pro-Kannada organisation, yesterday, burnt an effigy of ‘Thalaiva’ and made it clear that they are not happy about his comments. Well. This a developing situation and it will be worth watching if things cool down in the near future. In case you did not know, Rajinikanth is all to take the political plunge. On the last day of 2017, he had confirmed that he would be forming his own political party and adding a new dimension to his life. He had also said that he would in ‘spiritual politics’ and clean the system. “I will be beginning my own party and will be contesting in the upcoming State Elections. We will independently stand in all 234 Constituencies in Tamil Nadu. Before the state election, we will discuss what we can do, and what we cannot do. If we don’t do what we promise, We will resign within 3 years. We will be running spiritual politics,” he had added. On the work front, he has Kaala and 2.0 in his kitty.